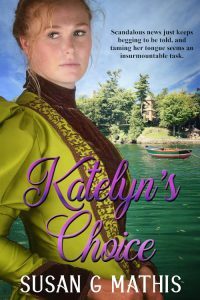 Here’s an excerpt from Katelyn’s Choice, the first in the Thousand Island Gilded Age series. It releases this Friday, March 15th! Soon, you’ll get to read the entire story. Katelyn got up and ran to her room to watch the storm from the safety of her window. A quick, torrential shower followed. It only lasted a quarter of an hour and left as quickly as it had come. Before long, the sun burst through the dissolving clouds, so she took her place again on the cool, breezy veranda. She watched as fish broke the water, seeming to play tag in a joyful game. It reminded her of her childhood, of her friends. If she were a fish, she would surely be a wide-mouth bass, ugly and always fighting the desire to jabber, never able to keep her prattling mouth closed. She wished she were a rainbow trout, beautiful and desirable. But no, she was a bass, ever fighting and flapping her jaws. her tongue or the freedom to hate and bring death. She even had the power to stay silent when faced with unfair accusations, as Jesus had done. Her choices might be terrible right now, but they were hers alone. Tears stung her eyes, and she allowed the dam to burst. Alone on the veranda. Alone with God. With only the river as her witness, Katelyn wept as she’d never wept before. For the loss of her mother. For the abuse of her brothers and her father. But most of all for her wretched tongue. The tongue that hurt others. That abused others with gossip, tales, and prattle that were untrue, half-true, or outright lies. Oh how she wished she could take them all back, rewind time, and make it all right. To read the entire story of Katelyn’s choice to grow and change and overcome her challenges, click here! 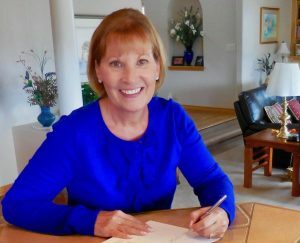 Pat Nichols launched career number two as a novelist after retiring, proving it’s never too late to follow your dreams. Drawing on years of corporate experience, she creates stories about women who face challenges in the pursuit of their dreams. She lives in an Atlanta suburb with her husband of fifty plus years, is the mother of two, and grandmother of three. The Secret of Willow Inn, my debut novel, is the story of two women fighting for their dreams, one who’s long lost hers, are united by tragedy and a long-held secret. 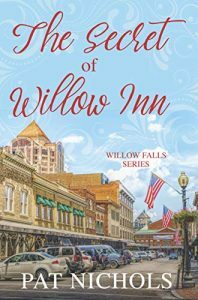 Pregnant with her first child, Emily Hayes is eager to help her mother finish transforming an estate into the Willow Inn and write a novel about Willow Falls’ colorful history. Sadie Lyles left Willow Falls a murderer who’d killed the town hero. She returns as a despised felon and seeks solace in the town’s café. Emily struggles to unite the close-knit community and becomes Sadie’s biggest advocate. 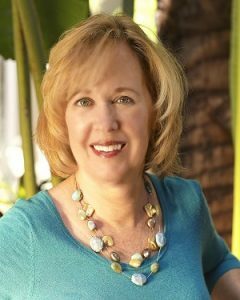 My decision to write women’s contemporary fiction was inspired by my twenty-seven-year corporate career working with amazing women from all walks of life. The trigger that launched my writing career, which began after I was eligible for social security, was the loss of our Goddaughter. After drifting in and out of our lives for more than thirty years, she succumbed to a long struggle with addiction. I wanted to write a novel based on her life, but with a happy ending. There are two main characters Emily and Rachel. To me Emily seems more down-to-earth, thus the name of my country-girl character, and Rachel more sophisticated. A third key character is a middle-aged quintessential southerner. For her, I chose a southern name, Sadie. My day typically begins at 5:30. My goal is to write 1,000 words five sometimes six days a week. In addition, I devote forty-five minutes to marketing and as much time as needed to publishing deadlines. I was accustomed to working sixty hours a week in my corporate career, so long hours come naturally. For me, the most difficult part of being an author was learning all the nuances of social media. After all, I’m old enough to remember slide rules, although I never understood how they worked. Fortunately, my daughter and grandchildren have helped me figure it all out. Two things I love most about writing, first the humbling, heart-warming joy that comes when a reader compliments my novel. It’s more exciting and thrilling than getting an A-plus on a term paper. The second-best part in author life is the joy of watching my characters struggle and succeed through life’s ups and downs. I’ve often heard authors say they are intrigued by where their characters take them. Now, I understand what they mean. One benefit of writing a series is following characters on a prolonged journey. What is the craziest thing you’ve experienced as an author? One advantage the modern author has is the internet. We can explore any topic with the touch of our fingers. It also triggers some unusual responses. After searching couture clothing, I received some unexpected, not-so-welcome ads. Tim and I enjoy spending time with family and friends. We’ve ticked off every destination on our travel bucket list, but still like to take an occasional trip. 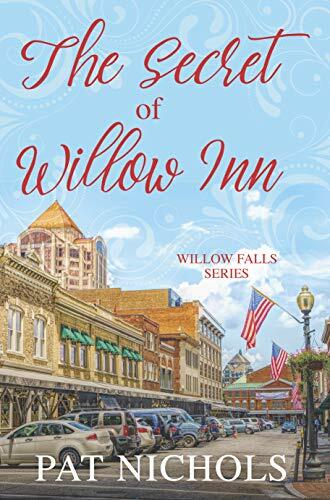 Willow Falls Series book two is scheduled for release January, 2020. I have two shelved manuscripts. Whether they ever make it to publication is a question without an answer. My current work-in progress is Willow Falls book three, with more to come. Crystal Bowman is a best-selling, award-winning author of more than 100 books for children. She has also written several nonfiction books for women. She writes lyrics for children’s piano music and stories for Clubhouse Jr. Magazine. 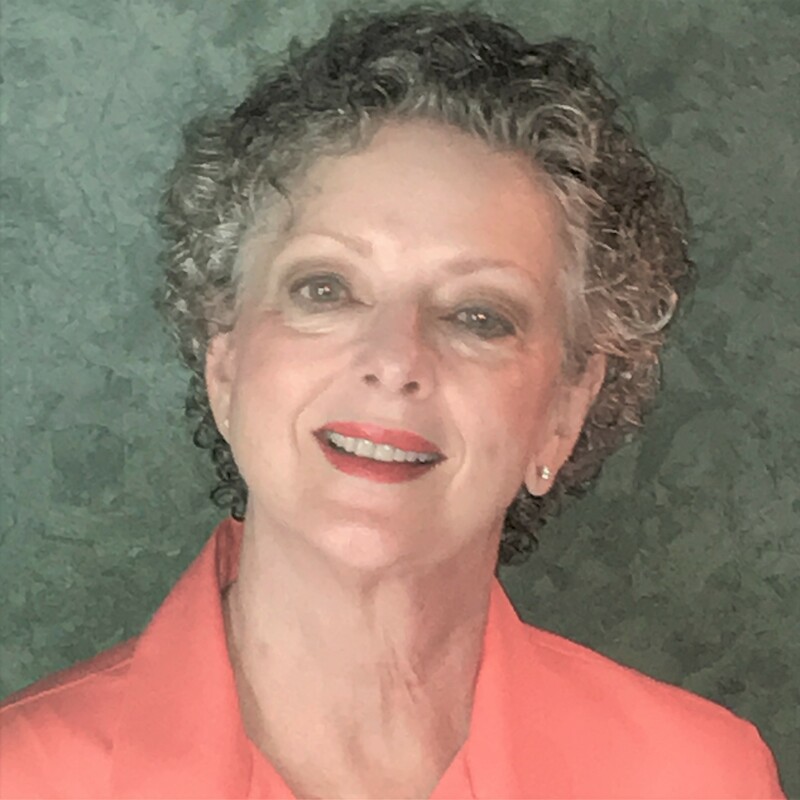 She enjoys being a mentor for MOPS (Mothers of Preschoolers), teaching at writers’ conferences, and spending time with her seven grandkids. When my daughter-in-law Meghann Bowman spent five years going from one infertility doctor to another, she felt alone, discouraged, and isolated. She longed for support and encouragement from others, but this topic isn’t you’re your typical girlfriend conversation. 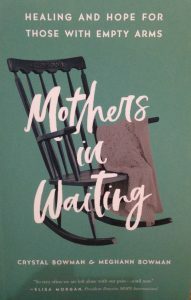 She came to me and said, “We need to write a book!” Mothers in Waiting—Healing and Hope for Those with Empty Arms, is a collection of 30 stories from women ages 30-65, who have experienced infertility. The variety of women and stories allows us to reach a very broad audience. As one contributor wrote: infertility encompasses so much more than not being able to conceive. 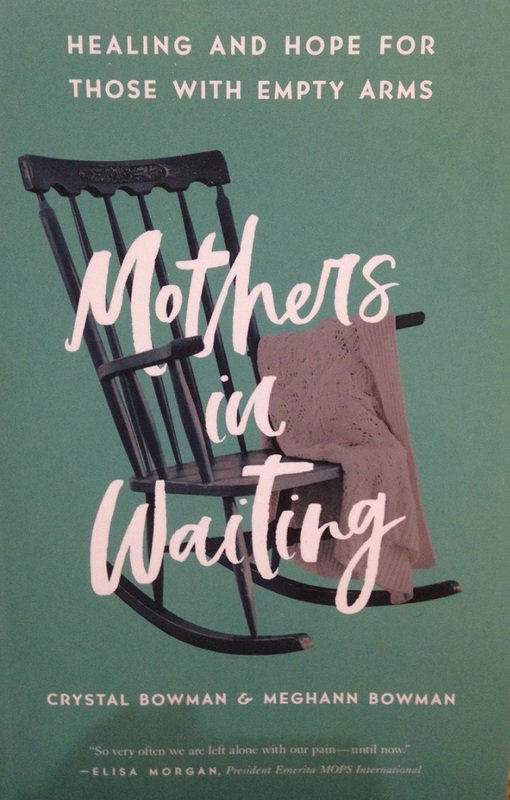 The book includes stories of miscarriage, adoption, IVF procedures, foster care, and more. The goal of the book is to let women know they are not alone in their painful journey to become a mom. The contributors walk alongside each reader with sympathy and understanding, as well as offering hope from God’s Word. I am best known for my children’s picture books, board books, Bible storybooks, and devotions for kids, so this book is outside of that genre. But it’s still about a love for children and couples wanting to bring children into their home. My life has always centered around children, and this book fits with that. I write because it’s my passion and God-given gift. Writing for me is like breathing—I can’t not write. I want my words to offer hope and encouragement, and most of all point readers to Jesus. For me, every day is different, and it depends on my current writing projects. If I am under a tight deadline or working on a major project, I might write 10-12 hours. Otherwise, I write a few hours almost every day. My writing world not only includes books, but also blogs, magazine articles, and short devotionals. Keeping up with social media and marketing is time consuming, but it is necessary. I have hired someone to manage my website because I couldn’t keep up with the technology and the demands of keeping it current. Touching lives and sharing God’s love with my audience of readers. When I get an email from someone who says my words encouraged them—that’s the best! One time I was on staff for a writer’s conference, and my email address was incorrect, so another Crystal Bowman keep getting all the group emails with details about the conference. She was not happy and sent some harsh emails in response. One of my friends who was also on staff figured out what was going on and we finally got things corrected. I sent an email to the entire staff letting them know those emails were not from me. I also contacted the “other” Crystal Bowman to apologize and she kindly replied. To this day, if she gets an email intended for me, she forwards it to me. That I can co-author books with my daughter and daughter-in-law. Spending time with my grandkids. My daughter, Teri McKinley, and I are co-authors for Our Daily Bread for Kids (Discovery House). We have several titles for different ages: Our Daily Bread for Kids(ages 6-12); Our Daily Bread for Preschoolers; and 6 board books under the brand: Our Daily Bread for Little Hearts. We also published M is for Manger (Tyndale), which has been a popular Christmas book. I’m working on Our Daily Bread for Kids coloring and activity Easter book—so fun! 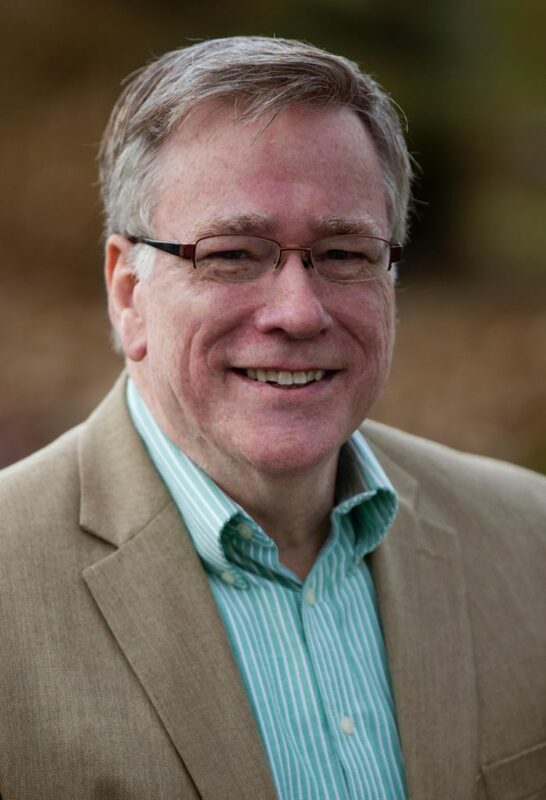 Bob Hostetler is an author, speaker, and literary agent whose fifty books include Don’t Check Your Brains at the Door (coauthored with Josh McDowell) and The Bard and the Bible (A Shakespeare Devotional). He lives in southwest Ohio. 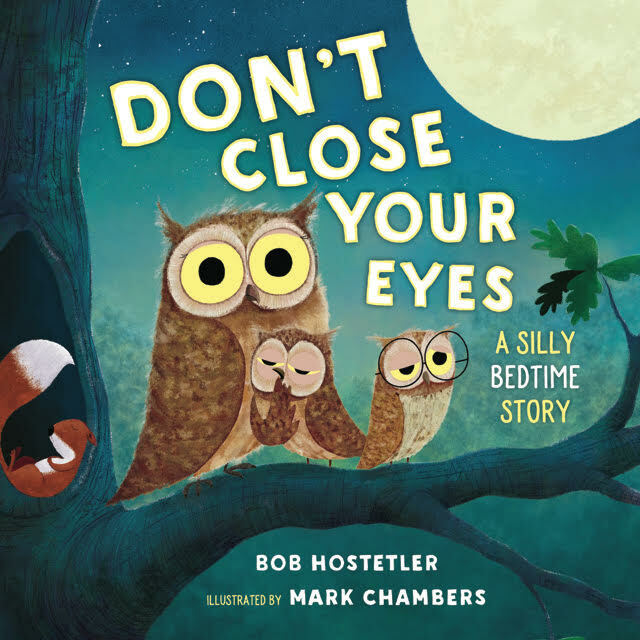 Don’t Close Your Eyes is a silly rhyming bedtime book. I have long been a lover and reader of children’s books and have read hundreds to my children and grandchildren. So I thought it would be fun to try using reverse psychology and the power of suggestion to coax children to sleep win the most entertaining way. And the illustrations, by Mark Chambers, enhance that purpose beautifully. Focus? What’s that? I write fiction and nonfiction, devotionals, and ministry helps, from How to Survive the End of the World to the historical novels, Northkill and The Return (based on events in my Amish family’s history). I can’t NOT write. Sometimes I’m not even sure what I think until it flows from my mind through my fingers and onto a screen or page. Writing is a big part of how I think and process and express myself. Don’t Close Your Eyes is a series of quatrains an adult reads to a child, so I guess the main character is the child—though the delightful illustrations feature animal families (owls, squirrels, rabbits, etc. ), so they play a part too. I ease into my writing days, praying and reading and doing busywork (email, paying bills, writing short pieces, etc.) before getting into the day’s writing tasks. Usually by mid-afternoon I’m in the zone and, if it’s going well, at the keyboard until 5 or 6. Those are the good days. The not-so-good days….well, let’s not talk about them. The money. Seriously, it’s not the easiest way to make a living. I get to do what I love. I get to play with words. I get to dig into the Word. I get to rub shoulders with writers and readers. I get to talk about words and books and God and His Word and writers and readers. I was once in a pitch meeting with a major publisher, passionately describing a novel idea that was going to be a bestseller, for sure. But the editor’s countenance kept falling, lower and lower, until he finally stopped me and said, “I hate to tell you this, but that story is already half written. By [a well-known author].” Who had pitched virtually the same storyline about six months earlier. Reading. Duh. I usually read 100 or so books a year. But I also like hiking, seeing the Cincinnati Reds play, and enjoying weekly dates with my lovely wife. Thanks for asking. Most are listed on the “books” section of my website, from The Red Letter Life and The Red Letter Prayer Life to The Bone Box and Life Stinks…And Then You Die. Lots. I hope to finish a new proposal on ancient values and practices that can draw us closer to God today…if we’ll take even just a few steps in those directions.